I’m looking forward to sunshine in LA this weekend, where i’ll be tabling at LA ZINE FEST!!! I couldn’t be more excited. If you nearby, come by and say hi! (See map below for where i’ll be) It is Sunday, February 16 from 10am-5pm at Helms Bakery, 8711 Washington Boulevard, Culver City, CA. Learn more about LAZF here. I’ll be debuting my first zine that is not a comic nor does it have a screenprinted cover. It’s a perzine called “Things I almost post as Facebook status updates and then don’t.” It’s small. It’s cute. It’s kind of angry. They’re $1 or trade if interested (add $1 for shipping, e-mail me if you’re interested.) 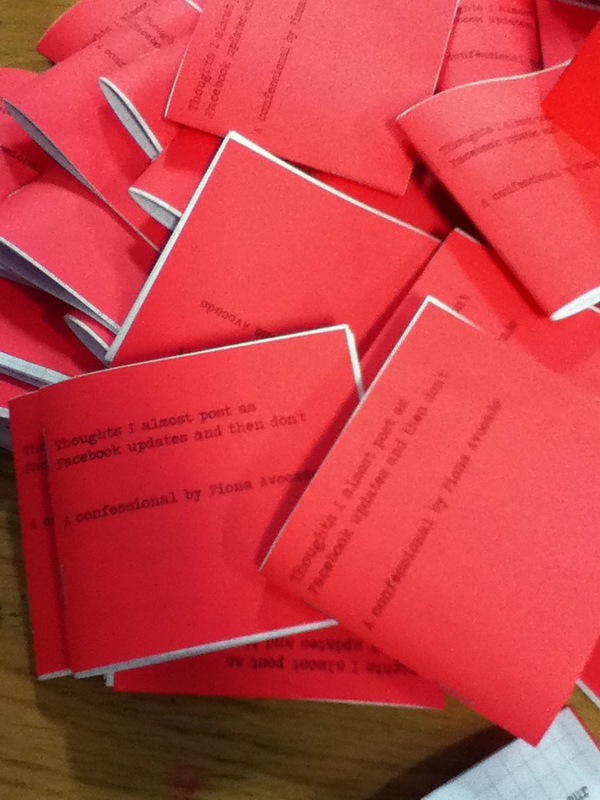 Below are the zines, post production. P.S. 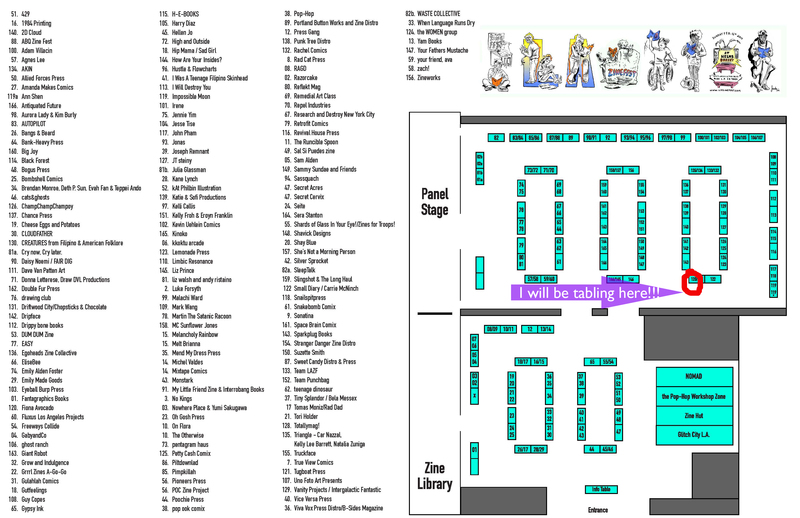 Midwest fans and friends, I’ll be at Chicago Zine Fest next month! It’s March 14-15. Mark your calendars, i’m debuting a new comic! Hey it was great meeting you today! Hey! It was nice meeting you too. Thanks for stopping by. I’ll definitely check your stuff out! !